Miniso now open at SM FAIRVIEW! Miniso has managed to open a total of seven stores this year and I feel very fortunate to have gone to two. :) SM Fairview is very far from my place, but I surely didn't want to miss out on this! I've been obsessed with their items and actually find the opening quite perfect for my Christmas shopping needs! I don't know about you, but I think that no Miniso branch is exactly 100% the same when it comes to content. One branch can have this certain bag, but the other doesn't. Going there can sometimes be a surprise. :) In a good way! But the fact doesn't change that, they have a lot to offer their customers. :) Again, I find myself in the kid section here and finally got my boys some neat toys! For only Php 99 and Php 199 each! 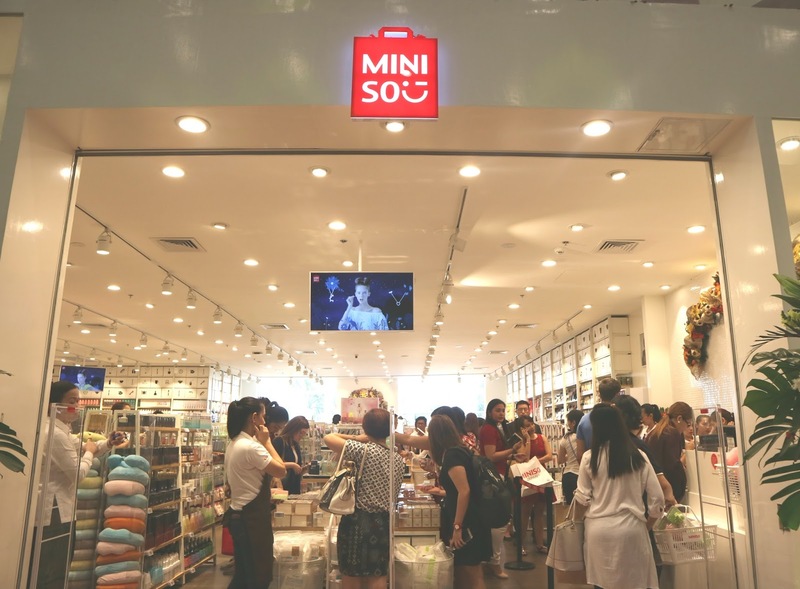 Art materials, party-needs, toys, beauty products, gadget accessories and more, they got it all for you at Miniso!